HETA is a globally operating engineering specialist company and manufacturer of filters and separators, founded in 1989. The inventiveness with which we provide the desired solutions is implemented in our own production facilities: function follows engineering, which follows perfect implementation; thereby we prefer the individual solution for the requirements of our customers. Our range of service includes complete devices ready for connection including all necessary internals and spare parts as well as documentation according to customer’s request. Since 2010, HETA has been a member of the PACO group. PACO is a leader in the world market for high quality metal wire cloths, filters and sieves. 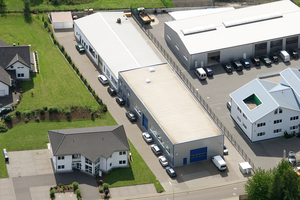 HETA and PACO provide their commitment to the business location Germany based on conviction and experience.